A notice was posted on the council website after residents notified the council that the callers were referring to the council. A planning application for more than 2,000 new homes is currently open to public consultation and the scheme was included in the council’s draft local plan. The people behind plans for the old Wisley Airfield, have confirmed they have commissioned the survey. A borough council spokesman said: “We published the information on social media and our website to make residents aware that there appeared to be a survey being done about housing – and that we were not involved with it. Neighbours of the site and green belt campaigners have objected to the plans and some residents have complained that the questions in the survey appear skewed in favour of the development. 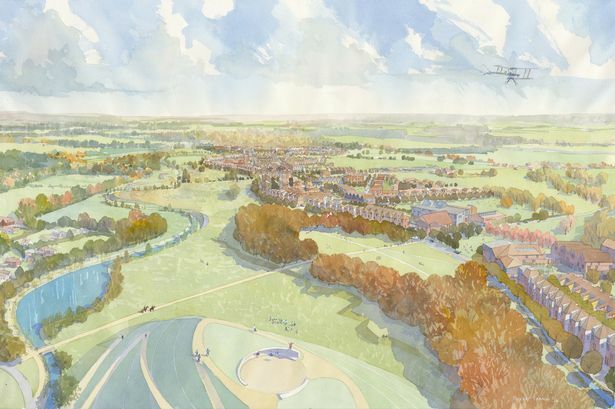 Mike Murray, representing Wisley Property Investments, said: “We’ve commissioned a telephone survey to gather further feedback on our proposals for a new settlement, which includes open land fully accessible to the public around the same size as the county showground at Stoke Park. “The survey has been designed by, and is being carried out by, Marketing Means, a highly reputable full member of the industry body, the Market Research Society.